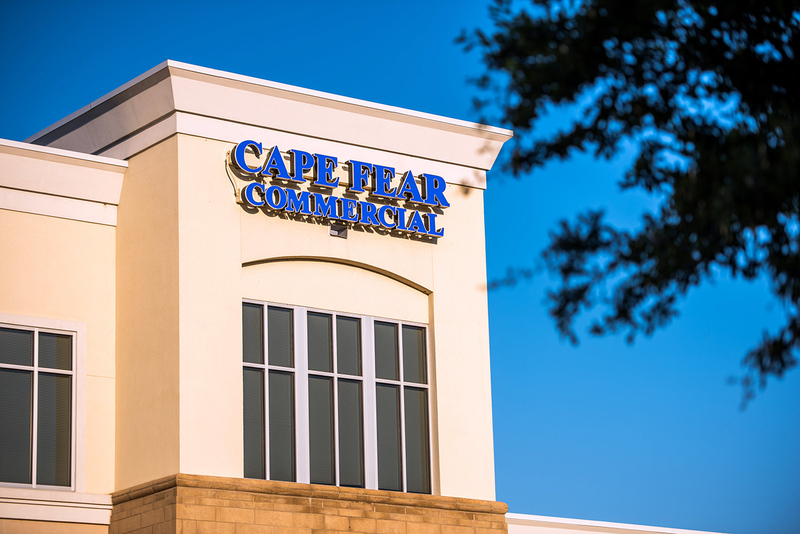 Wilmington, N.C. – March 20, 2019 – Cape Fear Commercial (CFC) is pleased to announce that it has been recognized by CoStar as a 2018 leader in commercial property sales and leasing in the Wilmington market. 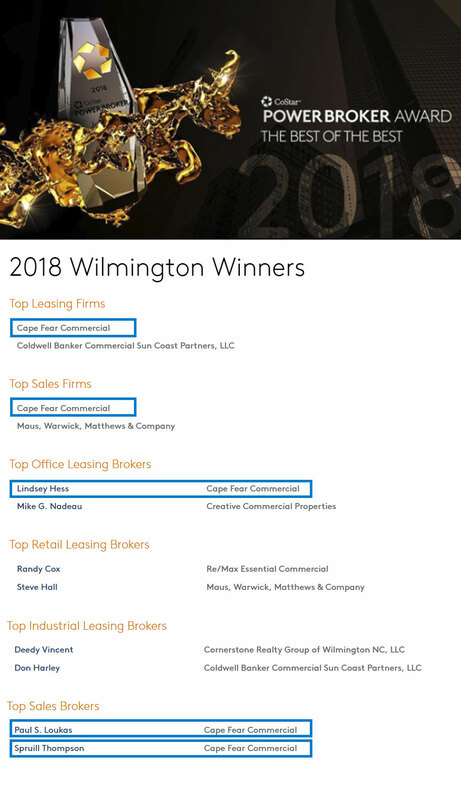 CoStar tallies commercial real estate sales and lease transactions that closed during the previous year to determine the winners of Power Broker Awards in each market. Awards are presented to both firms and individuals who closed the highest transaction volume in commercial property sales and leases in their respective markets throughout the year. For more information on the awards and a full listing of all award winners, please visit CoStar’s Power Broker Award website.